Welcome to the first episode of The Middle Age. This starts the adventures of Sir Quimp and Maledicta, the Blade of Woe. For those who don’t know me, my name’s Steve Conley and I’m a cartoonist whose first webcomic, Astounding Space Thrills, started in 1998 and ran for ~500 episodes. I’ve since created a number of other webcomics and I’ve written and drawn for publishers including DC, Image, Dark Horse, Boom and IDW. 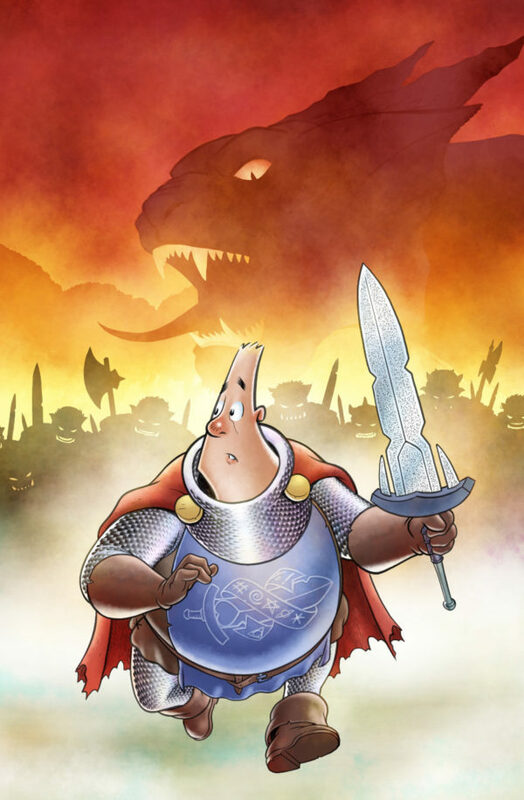 The Middle Age is my latest project and I hope you like how it’s starting out. If you like the comic, please consider supporting me on Patreon. A pledge of any amount makes future episodes possible. In addition, supporters get access to plenty of behind-the-scenes art, larger versions of the strips and more. 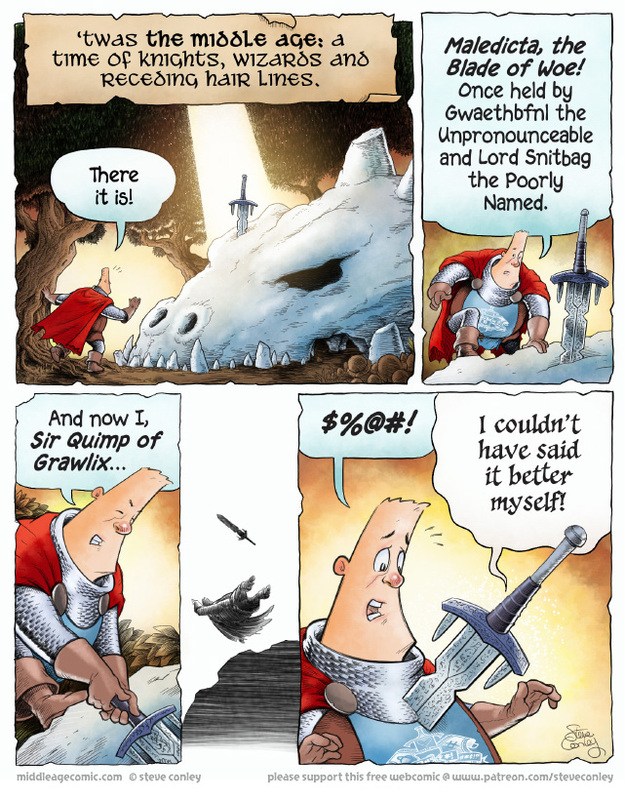 Once we reach our first goal, I’ll be posting an extra episode of The Middle Age each week. Feel free to contact me or leave a comment below. Interesting. Great tapered head! Keep it up. Looking forward to reading further!